Lhasa Niangre resort is a pure folk attraction in Tibet. 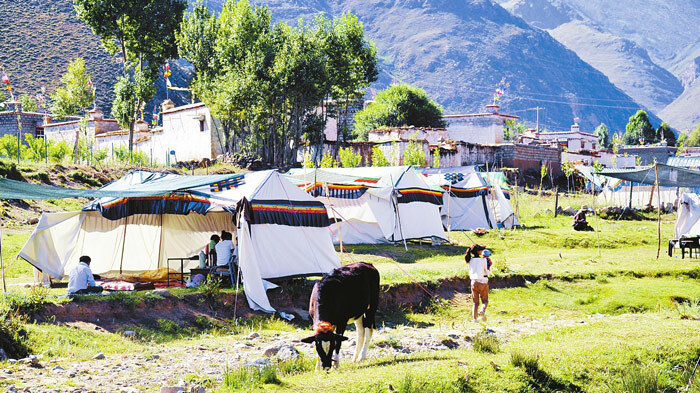 Travelers can experience the true Tibetan village life and Tibetan folk culture. Travelers can visit several sites such as historical site, cultural exhibition, living quarter and wood loft. Meanwhile, after the audio-visual feast, they can also enjoy the delicious food. For example, the Tibetan dish, Chinese dish and new dish that combines Tibetan dish and western dish. In addition, they can also choose to have an outdoor dinner of roasted sheep or grilled Tibetan pigs. Therefore, if your Tibet your schedule is not that tight, you can pay a visit to this beautiful place to experience the typical Tibet village tour.